Dr. Pietro Bertino can envision a time when mesothelioma cancer no longer exists. He can see it through the work he does every day. Bertino is an assistant researcher in the Cell and Molecular Biology Department at the John A. Burns School of Medicine at the University of Hawaii. The U.S. Department of Defense awarded Bertino a three-year, $550,000 research grant to advance the development of a multiantigen mesothelioma vaccine aimed at prevention and therapeutics. His early work shows significant promise. Bertino is focused on a preventative vaccine for people at high risk for mesothelioma, primarily those with long-term occupational exposure to asbestos and those genetically predisposed to developing the asbestos-related cancer. Mesothelioma is caused almost exclusively by the inhalation or ingestion of microscopic asbestos fibers that become lodged in the thin membrane surrounding the lungs or abdomen. Over time, the fibers cause scarring that can lead to serious health problems, including cancer. Our Patient Advocates can help you find top mesothelioma doctors & treatment centers in your area. Being tested and adjusted now in animal models, the vaccine is designed around the identification of several proteins overexpressed in mesothelioma tumors and that help those tumors grow. The vaccine involves antibodies capable of inducing an immune response within those specific targets. By targeting specific proteins, early results show the vaccine successfully eradicates mesothelioma tumor cells within mice models. In its infancy, the vaccine was producing only an extended survival of 15-20 days in the animal models. The latest results included a tumor-free model in 40 percent of the cases. 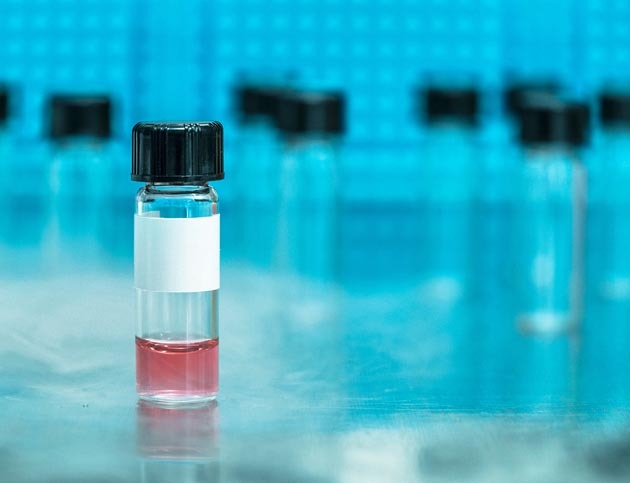 The aim is to produce a prototype vaccine for human immunization and evaluate its capacity in stimulating immune cells isolated from human donors. “This highly innovative project will advance the field of immunotherapy by producing a new generation, robust, efficacious and safe vaccine,” Bertino wrote in his project objective. Bertino’s interest in the prevention of mesothelioma stems from his early years as a young researcher in Italy and his move to the University of Hawaii Cancer Center a decade ago to join Dr. Michele Carbone, director of thoracic oncology and world-renowned mesothelioma specialist. Growing up near the town of Casale Monferrato, the home of a large asbestos manufacturing plant, he saw firsthand the health problems being created by this once widely used toxic mineral. He began his mesothelioma research at Alessandria Hospital in Italy and at the University of Eastern Piedmont in Novara, where he worked with Professor Giovanni Gaudino, a noted mesothelioma researcher. Bertino came to Hawaii to work with Carbone, who later led the research team that first identified the BAP1 genetic mutation that can predispose someone to mesothelioma cancer. Although hundreds of thousands of people were exposed to asbestos in the U.S., only an estimated 3,000 annually are diagnosed with mesothelioma. It can take anywhere from 20-50 years after exposure before someone is diagnosed. Mesothelioma has hit a disproportionate number of veterans, particularly from the U.S. Navy, stemming from the military’s past heavy reliance on asbestos products. It’s why the DOD is funding the research. Veterans account for an estimated 30 percent of mesothelioma cases diagnosed, although they comprise only 8 percent of the population. A leader in the study of mesothelioma, the University of Hawaii has received more federal funding for mesothelioma research than any other academic institution. In 2016, the DOD provided three grants worth more than $3 million.